From a strikingly original voice in fiction comes the story of Artemis Fowl, a very unusual hero. Artemis combines the astuteness of Sherlock Holmes with the sangfroid of James Bond and the attitude of Attila the Hun. But even Artemis doesn't know what he's taken on when he kidnaps a fairy, Captain Holly Short of LEPrecon Unit. These aren't the fairies of bedtime stories. These fairies are armed and they're dangerous. Artemis thinks he's got them just where he wants them, but then they stop playing by the rules . . .Full of unexpected twists and turns, ARTEMIS FOWL opens up a riveting world of magic, mystery, and humor. 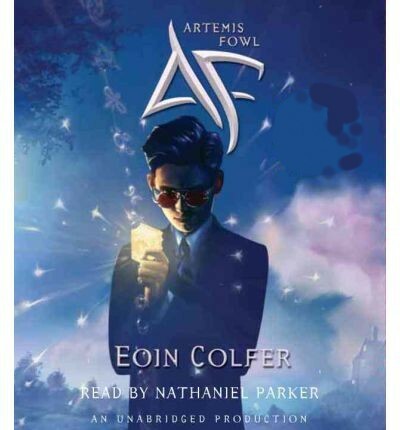 About the Author: EOIN COLFER is a former elementary school teacher who became a publishing phenomenon with the New York Times bestsellers Artemis Fowl and Artemis Fowl: The Arctic Incident. Previously, he has written several other bestsellers in Ireland, including The Wish List.